Home › ModernTribe's Blog: Modern Jewish Life & Style › LA and DC are Going All Spin! LA and DC are Going All Spin! Saturday (after sundown, of course) we are proud to be part of two Hanukkah events happening on separate ends of the country. No Limit Texas Dreidel will be played, tournament style, at the Los Angeles Federation Young Leadership Division's Chanukah Bash at the X Bar in Century City and the Young Professionals' Kesher Hanukkah Party of Washington DC at the Sixth & I Historic Synagogue. Jon Layne of Party Layne, a very popular event production company in LA and Detroit, found NLTD through our Heeb Magazine promotions. He excitedly called and asked how he could integrate NLTD into the annual event which expects 300-400 young adults. I shipped Jon a game and since then he has become sort of a NLTD evangelist because he loves the game so much. 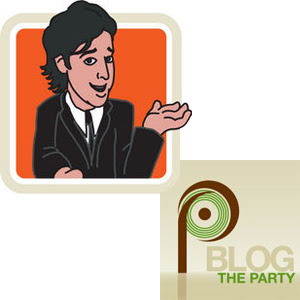 Check out Party Layne's Blog to keep up with party trends. The Young Professional's Kesher of DC is having all 50 expected guests play NLTD at the same time! The winner and runner up get ModernTribe.com E-Gift Cards. These events are playing NLTD tournaments in very different ways too. Read here about two ways to do NLTD Tournament Style. Check back for pictures from these events. Can’t wait to hear reports. I’m sure that everyone loved the game. We played it at our shul’s annual “Latkes and Vodkas” party for our 20/30’s group and it was a major crowd pleaser!! Thanks so much!